An eco-friendly show house in Manhattan produced by Country Living magazine and New World Home. A country house in New York City? That’ll catch your eye. And if it’s brimming with eco-friendly ideas like this one is, it’ll capture your imagination, too. The house is actually a sustainable show house developed by Country Living magazine in conjunction with New World Home, a producer of environmentally sensitive housing. I noticed it last weekend near the boat basin in my neighborhood in lower Manhattan, and I walked over to tour it today. 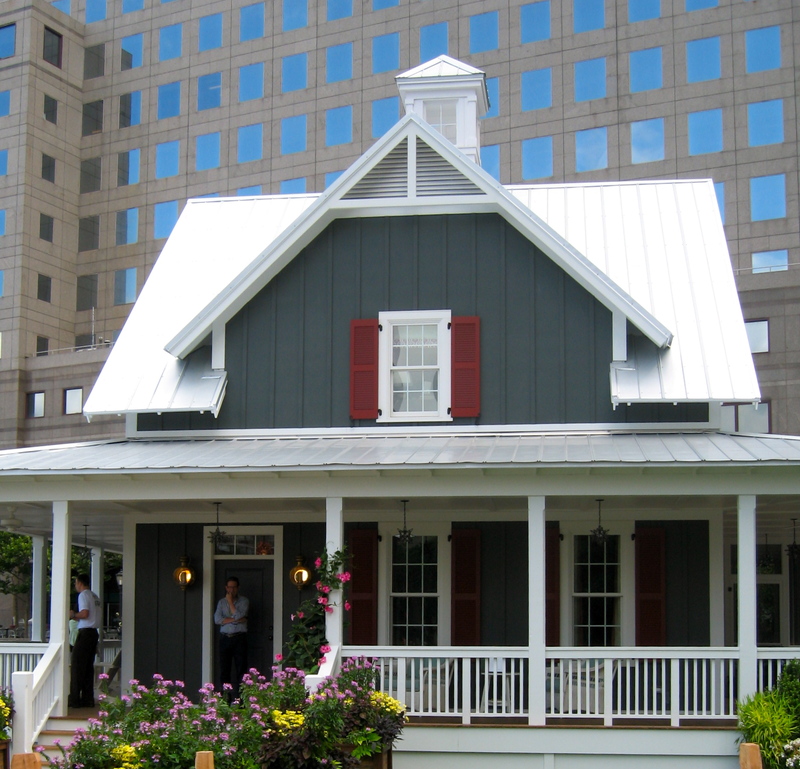 What was so appealing about the charming house is that it merges historically inspired design with the latest generation of green building products and furnishings, and because it’s a modular design, it can be constructed with customized features in as little as 90 days to boot. Designed to meet the highest Platinum standard of the U.S. Green Building Council’s Leadership in Energy and Environmental Design (LEED) program as well as the highest Emerald standard of the National Association of Home Builder’s green building program, the house is 60 percent more efficient than a typical home and is built to be more durable, too. Among the exterior features that make it so eco-friendly—and attractive—are a metal roof by Fabral, which is Energy Star-qualified and reflects sunlight to reduce cooling costs by 30 percent, ultra-durable board-and-batten fiber cement siding by James Hardie that’s been painted with Benjamin Moore’s eco-friendly Affinity paint, energy-efficient windows and doors from Anderson, and Pure Wood decking made from domestically grown southern pine wood that’s been thermally modified to eliminate the potential for rot and decay. 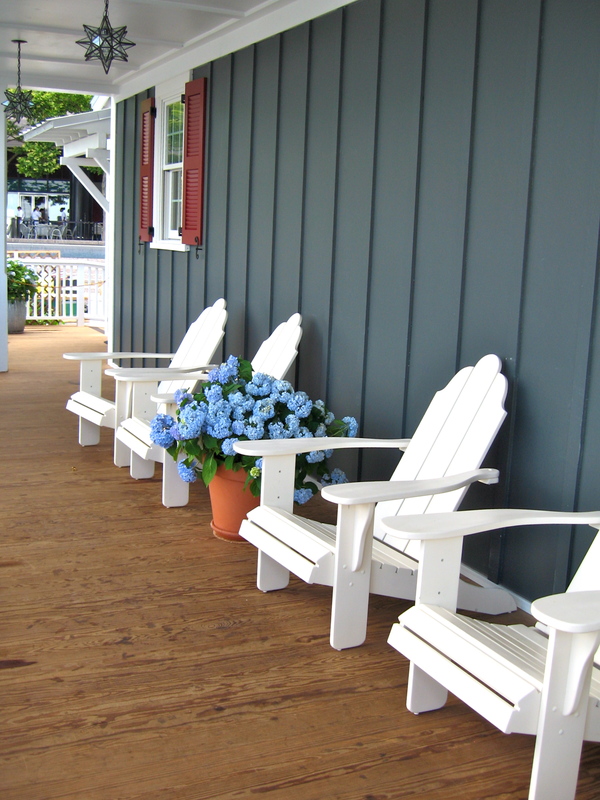 Pure Wood southern pine decking, thermally modified to prevent rot and decay. Inside, the house contained all kinds of sustainable products and materials, which I’ll investigate further for my own home improvement projects. These products will also be covered in detail in the November issue of Country Living magazine, where the house will be showcased in a special section. In the meantime, I’ll be putting the Pure Wood decking into my personal notebook as a possibility for the lattice or upgraded flooring I want to introduce to my terrace. The finish is designed to weather gracefully to a silvery patina, like my teak outdoor furniture. And it might be just the thing to lend a little country warmth to my very urban brick-and-concrete exterior room.